Microsoft still has some good Xbox news to report following the release of the latest NPD sales data in the US. This shows that PS3 sales are going through the roof following the Metal Gear 4, launch and that the Nintendo Wii has edged ahead of the 360 in terms of overall sales. The Xbox division has finally posted a profit during the 2007/08 financial year, the first in the groups history! Microsoft reports that it has now sold over 20 million Xbox 360s to date. $1 billion a week on TechRadar. As for the Xbox, it's taken a while to get there, but Microsoft's entertainment and devices division has finally confirmed a $426 million profit in the company's fiscal year for 2008, due to the growing success of 360 console and game software sales. The Microsoft sector has previously had profitable quarters here and there, but this is the first time in Xbox's history that it's had a full profitable year. The Entertainment Devices division actually posted a quarterly operating loss of $188 million for the fourth quarter in the financial year 2007/08, compared to the staggering loss of $1.223 billion for the same fourth quarter in financial year 2006/07. That, as you may remember, was down to the $1.1 billion that the division 'took on the chin' to cover the Xbox 360 warrantee expansion program. 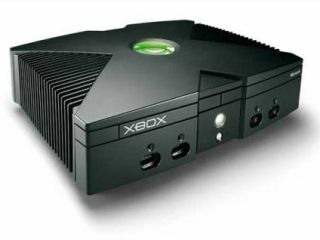 Microsoft shipped 1.3 million Xbox 360s between April–June 2008, compared with around 700,000 in the same period last year and shipped 8.7 million consoles overall for the 2007/08 financial year, compared to 6.6 million the year before.